Last month, KKR proudly co-hosted the 2018 Veterans Initiative Summit in Washington, D.C. with Apollo, Blackstone, and Carlyle. This three-day summit focused on creating an environment for attendees to meet and discuss opportunities for their companies to engage around military issues on-site and beyond. The content centered on how private equity portfolio companies can attract, retain, and promote veterans and military spouses to improve business operations and support communities. The agenda included plenary and breakout sessions, a military hiring fair, a hands-on service project, and more. 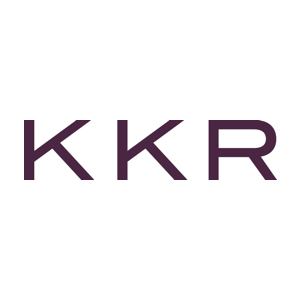 More than 150 human resources leaders from the four investment management firms’ collective portfolio companies attended the Summit in D.C., and feedback from representatives of KKR portfolio companies was incredibly positive. We heard from several of the participants that they gained a stronger understanding of the big picture, including struggles that veterans are experiencing and what they can do to support service members and their spouses. We’re pleased that the event also helped facilitate new connections and exposure to programs and partners for everyone in attendance. Apart from the military hiring fair was a hands-on service project called “Mission Backpack: Afghanistan,” during which attendees filled 1,000 backpacks with school supplies. In the next few weeks, these backpacks will be delivered to Bagram Airfield in Afghanistan and subsequently delivered to local children by the U.S. military. Since we kicked off Vets @ Work in 2011, an initiative that highlights the extensive range of talents and leadership abilities veterans can bring to private sector employers, 41 KKR portfolio companies have hired more than 62,500 veterans. During the Summit, we were thrilled to engage representatives from current and former KKR portfolio companies including Brightview, C.H.I. Overhead Doors, Covenant Surgical Partners, Epicor, First Data, Fleet Farm, Focus Financial Partners, LLC, GoDaddy, Lyft, National Vision, The Nature’s Bounty Co., US Foods, and USI. Thank you to all who played a role in making this event a success.